Google recently released its Year in Search 2018 data, outlining the most popular questions the world has posed to the search engine this year. Many topics were covered on the most-searched list, from celebrities to “how to vote” and, in terms of health, the extremely popular ketogenic diet was the most-searched diet in 2018. From celebrities like Vinny from the Jersey Shore (@ketoguido) and Kourtney Kardashian endorsing the low-carb, high-fat diet to seeing keto-weight loss stories all over Instagram — BTW, #keto has more than 9.3 million Instagram posts — it’s no surprise that people were looking into the keto trend for themselves. While it seems like this diet sort of popped up this year, it actually has a deep-rooted history in the treatment of epilepsy. In the 1920s, doctors discovered that starvation forces the body to burn acid-forming fat for energy. And acid, aka "ketones," is actually beneficial for people with epilepsy, because it lowers brain electricity, which can prevent seizures from occurring, according to “the history of the ketogenic diet,” a report published in Epilepsia. Obviously, this was a huge medical breakthrough, but doctors quickly realized that fasting is not a sustainable long-term solution, even if it does keep seizures at bay. They eventually figured out that a low-carb, high-fat diet could lead to the same results, and be just as effective for treating epilepsy, and just like that, the ketogenic diet was born, Refinery29 explains. Today, dieters utilize the ketogenic diet as a method for weight loss, maintenance or plain 'ol healthy eating. The ketogenic diet involves bringing carbohydrates down to less than five percent of a person’s daily caloric intake – which means eliminating most grains, fruit, starchy vegetables, legumes and sweets. That lack of carbs is replaced by calories with fat. That fat is then turned into “ketone bodies,” which are an alternative energy source: besides glucose derived from carbohydrates, ketones from fat are the only fuel the brain can use, according to scientists at the University of California San Francisco. "The key with [the keto diet] is it has to be medically monitored, meaning there really should be a doctor overseeing it," Melissa Matteo, a registered dietitian and certified diabetes educator at Cleveland Clinic, told Refinery29. For example, Matteo has patients transitioning to the ketogenic diet get lab work to see if they have any electrolyte imbalances, and she will closely monitor uric acid levels throughout the diet, because those tend to be elevated during a high-protein low-carb diet and can lead to gout, a form of arthritis. If that doesn’t prove to you the no-joke nature of this diet, then this probably will: 70 to 80-percent of your daily calories on a keto regimen will come from fat, and about five percent come from carbohydrates, which can be a huge change for most people consuming the Standard American Diet, per the Cleveland Clinic. So, on keto you're eating around 20 grams of carbs a day, including fruits and vegetables. Plus, you're not supposed to eat starchy foods like bread, rice, potatoes, or beans. No dairy, including milk and yogurt, and absolutely no sugar, either, according to the Cleveland Clinic. Needless to say, the diet isn’t for everyone. But some people achieve great success via this low-carb diet. "If somebody's interested in this, they just need to do their homework, and really research what it all entails," Matteo told Refinery29, which means understanding what this will entail in the short term, but also long term. 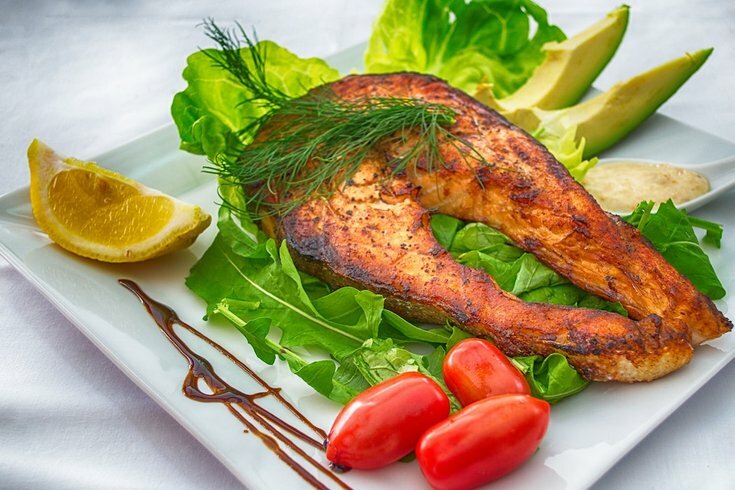 A diet as rigid and limiting as the ketogenic diet comes with a full basket of challenges, because ultimately you're drastically changing your diet and eliminating necessary — and very delicious — nutrients. Now, we're left to ponder the diets that will rule the school in 2019.